We have a lot of traditional festivals and celebrations every year in Germany. Here you'll find some with a short explanation. 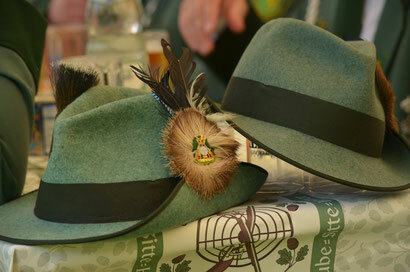 Carnival is celebrated mostly in February in the predominantly Catholic areas of Germany. It is also known as "Fastnacht" or "Fasching" in southern Germany. The celebrations begin on the Thursday before Lent called "Weiberfastnacht" and end on the following Wednesday "Aschermittwoch". 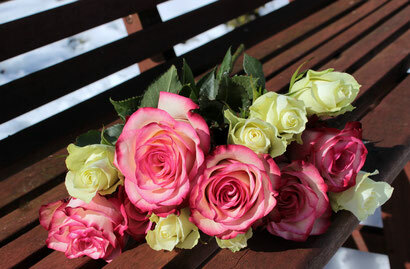 The highlight is on Monday, called "Rosenmontag", with large street parades. People dress in costumes and masks.The tradition has its origin in celebrating the end of winter and the start of spring. For the Christians "Ash Wednesday" is the start of fasting over a period of 40 days. Fairs normally last a weekend or a week. 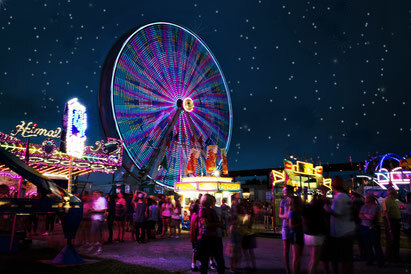 They have carousels, roller coasters, giant wheels, shooting stands, fast food stands and other similar attractions. They take place on fairgrounds or town squares. Mother's Day is celebrated on the second Sunday in May. Mothers get flowers or little presents from their children. Father's Day is celebrated on Ascension Day (Himmelfahrtstag). Many adult men go out with a handcart and drink alcohol. Unlike mothers on Mother´s Day, fathers receive no presents on theirs. 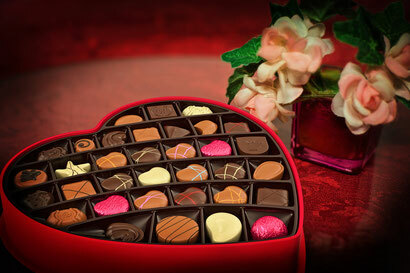 Valentine's Day is celebrated on 14 February. It's the day for lovers. They give each other little presents like chocolates or flowers. It is relatively new in Germany. 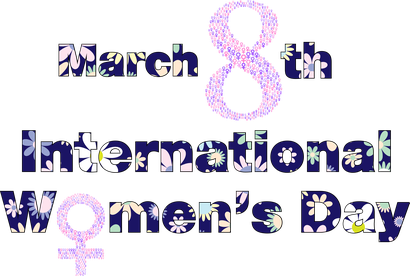 The emancipation of women is celebrated on March 8th. This is Germany's largest festival. It takes place in Munich and starts in the middle of September. 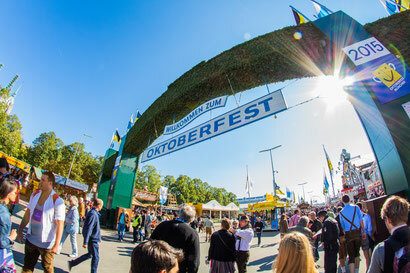 Every year more than 6 million visitors flow to the festival, more than 6 million measures (litres) of beer are drunk and countless roasted chicken halves and pretzels are eaten. Also you can find roller coasters, carousels and other spectacular funfair attractions at the Munich Oktoberfest. A procession of breweries, publicans, and a concert of all festival bands forms part of the official festivities too. This tradition has its origins many centuries ago when members of the shooting club protected the town from attacks of outside forces. Today it's often a highlight in small towns, where the members of the shooting club march behind a marching band. Christopher Street Day began in 1969 in New York's Christopher Street. 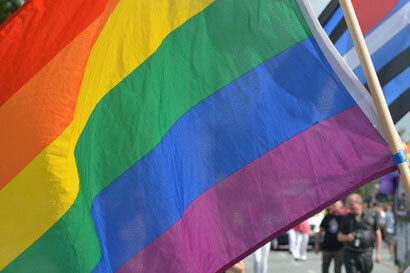 Many homosexual and transsexual people defended themselves against discrimination and police violence. Today it's celebrated with a colourful parade, where thousands of people go on the street. 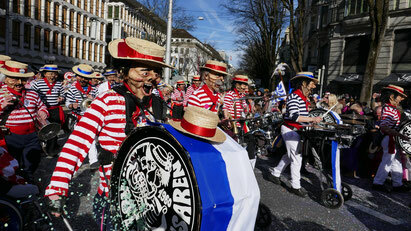 Since 1996 this carnival is celebrated in Berlin-Kreuzberg over the Whitsun holiday weekend every year. It evolved from the growing internationality and immigration in the city. The highlight is the parade on Whit Sunday. 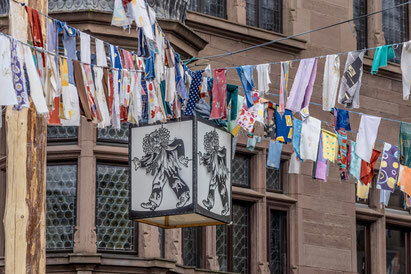 It is also celebrated in Hamburg, Essen and Bielefeld, among others.